After lots of speculation and expectations, finally, Apple launched the latest version of iOS, iOS 11. The new software is launched with some cool new features like AR support for the camera, Apple to Apple payment and much more. 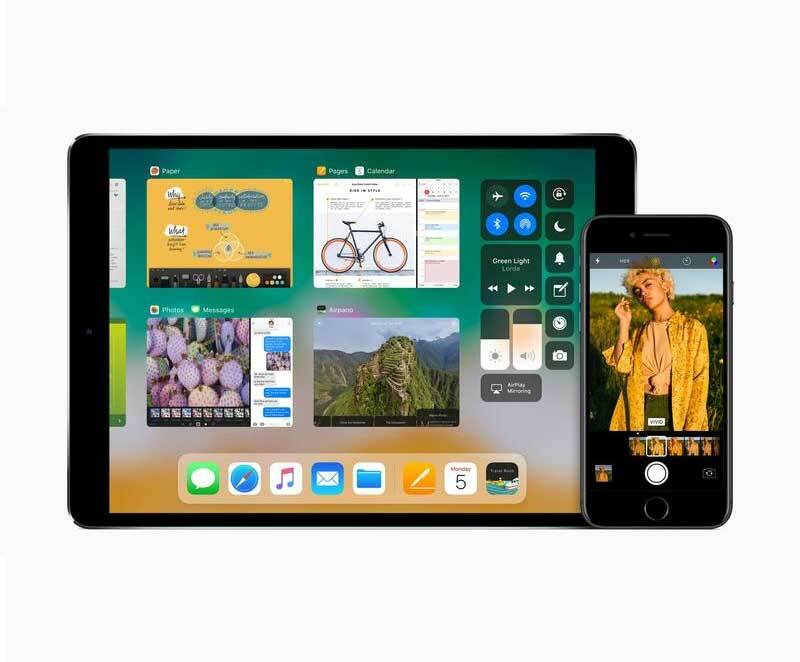 In this article, we are going to talk about 8 features of iOS 11 which will redefine the way you use your iPhone and iPads. Apple has taken inspiration from macOS in iOS 11 for iPad. The updated software includes drag and drop, a new way to switch between apps and a toolbar that are all reminiscent of their equivalent functions on Mac computers. The toolbar can predict what apps it thinks users want to open next, and drag and drop let them open sidebars easily. iOS 11 for iPad also includes a files section that pulls all files on a device from Apple and third party apps. It can bring files from OneDrive, Google Drive, DropBox and puts all files into the one place for easy organization. Tim Cook has spent all year talking about how excited he is for augmented reality, so it’s no surprise that Apple used this year’s WWDC keynote to show off what they’ve been working on in this emerging area. Along with iOS 11, Apple unveiled ARKit, a new developer platform for creating iOS apps that tap into augmented reality. Apps built with ARKit will be able to use computer vision to identify surfaces and add 3D objects. These objects create dynamic shadows that are rendered in real-time. Apple has redesigned the Apple Music app, which now has a clear hint of Spotify inspiration. Users are able to see recommendations, what their friends are listening to and create profiles that friends can follow. It also now has support for Shazam. In iOS 11, Apple has introduced a feature that knows when users are driving and triggers a new "Do Not Disturb While Driving" mode. This turns the user's iPhone screen black and can send automatic replies telling contacts they are on the road. Apple has refreshed its Control Centre for iPhone. The redesign has a simpler look, fitting on a single page with sliders and key functions. Using 3D touch, users can press for further details and more depth of options and information. The overall look is de-cluttered compared with iOS 10. Apple's iMessage will now synchronize messages across devices, so deleting a message in one app will delete it across all devices. It will also feature a new toolbar for emoji and stickers within iMessage. Another major update is the addition of Apple Pay as an app to iMessage. Users can instantly send payments through iMessage. If another user sends a message asking for a payment, Apple Pay can immediately recommend making the payment so you can quickly reimburse friends. Apple's Siri virtual assistant has had a makeover, with a more natural male and female voices. It can now translate speech, starting out with English, French, German-Chinese, Spanish and Italian. It can also be used for task management, to take notes and to scan QR codes. The intelligent assistant will monitor what users do across their devices to learn how we use apps and services. In iOS 11 Siri can spot interests, such as what news articles you read, and make recommendations from these. Apple added a much-anticipated new feature to Apple Pay, its payments system, that allows users to pay one another within iMessage. The peer-to-peer payments can be made and verified the via in-built fingerprint scanner, TouchID. The service will be available on iOS devices and the Apple Watch when iOS 11 is released later this year.